Imphal is a beautiful place. If you wish to spend a full day exploring the city, our full day hire service is the best option for you. It is available at our online portal. We offer this service for local city uses. Local Full Day service at My Taxi India has been designed to suit a number of purposes. So you can use it for sightseeing, attending meetings, shopping, seminars, visiting hospitals, and a lot more. If you don’t have much time to spare in Imphal, look for our half day trip dedicated for local city tour usages. It will make for a perfect choice for you. Some of the best include Airport Transfer in Imphal, Car rental service for Marriage, party and event, Corporate Cab Rental in Imphal, Railway Transfer, visiting hospitals and a lot more. We also offer pickup and drop service in and around Imphal as per client’s demand. Our trained chauffeur will reach you on time. Right from airport pickups and drops to hotels pickups and drops, railway station pickups and drops, and bus stand pickups and drops, we offer you the best. You can avail these services from Imphal to your desired destinations. Our state of the art outstation travel service is available for a variety of purposes. These trip with friends, weekend getaways, excursions, and family leisure trip outside the city limits. We offer expert to and fro taxi facility to our Imphal travellers. It is available for multiple destinations from Imphal. We offer taxi service to your desired destinations from Imphal as the starting point. 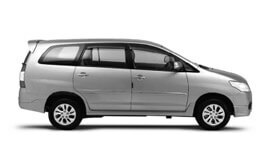 We offer taxi services in Imphal for multiple city visits for a stipulated period of time. This is an exclusive package to make sure the tour is not hectic. Our multi city package will make it an exciting experience for you. This is what we specialise in. We will design a special package for you if you don’t wish to avail any of our services offered. It will be precisely tailored according to your needs and budget. We guarantee the best car rental services in Imphal at highly affordable prices. The climate of Imphal is moderate. It is pleasant all through the year. January is the coldest month in this city. Imphal experiences consistent rainfall all through the year. Maximum rainfall happens during the months of May to October. The best time to visit this city is during the months of October to February. As per official census report for the year 2001, Imphal District has a population of 264,986 residents. The economy Imphal majorly depends on the household industries here. The tourism industry also contributes a significant share of the economy of Imphal. It is also an agriculturally productive area of North East India. The electronic industry in Imphal also makes for an important part of the Imphal economy. Tourism is also one of the main sources of economy of Imphal. The city is also home to new industries such as information technology and manufacturing units. The Imphal markets also provides with steady revenue generation. The Khwairamband Market run by over 3000 tribal women is the matter of pride for the city. Imphal is a beautiful city and offers a huge number of interesting tourist destinations. Some of these include the Kangla Fort, Manipur State Museum, Khwairamband Bazaar, War Cemetery managed by the Commonwealth Graves Commission, Manipur Zoological Gardens, Shri Govindjee Temple, and Loktak Lake.